John 10:10 promises “Jesus Christ gives a rich and satisfying life to those who follow him.” So, why aren’t more Christians living “rich and satisfying” lives? What does it really mean to follow Christ? Author Bill Perkins began the Jesus Experiment with these questions in mind. This 12-week journey will draw you into God’s word and put your life into focus through the lens of scripture. Do you handle day-to-day situations life Jesus did? Since this was a book I had to review in a timely manner, I was not able to do the full 12-week journey the way it was meant to be done, but I still got a lot out of it and I plan to go through the Jesus Experiment fully in the next few months. Using scripture, and some of his own personal stories as examples, Bill Perkins opens up ways for us to discover who we are at our core. How we behave when people are watching and when no one is around. You do one short chapter per week. At the end of each chapter is a challenge and some questions to help you focus on how you feel, think, speak and act in certain situations. You are then asked to compare yourself to Jesus. How did Jesus feel, think, speak and act in those situations? 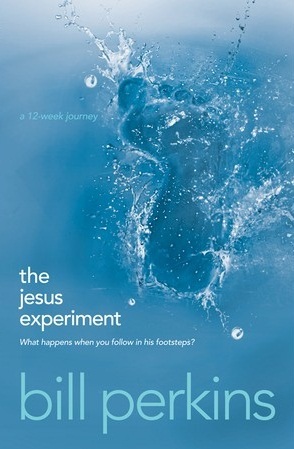 Any person who goes into this experiment honestly should find it an eye-opening experience that brings you closer to God. This was book 39 in my 52 Books in 52 Weeks challenge.